The glvary tool searches for variability using the Gregory-Loredo algorithm. It splits the events into multiple time bins and looks for significant deviations between them. The tool assigns a variability indexed based on the total odds ratio, the corresponding probability of a variable signal, and the fractions of the lightcurve which are within 3σ and 5σ of the average count rate. For an in-depth discussion of the variability algorithm, refer to the Gregory-Loredo Variability Probability why topic in the Chandra Source Catalog website. To determine whether a source is variable. Last Update: 13 Jan 2016 - Review for CIAO 4.9. Added badpixel file to retrieval list and note to be sure ardlib is set before running dither_region. Also added step to scale FRACAREA by DTF to get correct normalize of the lightcurve. In this example, we chose a source on ACIS-I3 (ccd_id=3), as shown in Figure 1. After choosing "OK" in the region filename dialog, a format dialog is opened. Set the format to "CIAO" and the coordinate system to "Physical". A normalized effective area file is needed for input to glvary. This file is created by the dither_region tool. dither_region takes a region on the sky and computes its location on the detector. When part of the region falls onto a bad-pixel, goes off the detector, or goes outside the bounds of the mask (optional) the area is decremented. Why this file is necessary is explained in further detail in the "Comparison: running glvary without dither_region" section. The tool requires the aspect solution for the observation and the source region as inputs. Note that if there are multiple asol1.fits file for your observation, all of them must be provided, either as a list or as a stack. The mask file is necessary for the tool to know which CCDs were used in the observation. The output file, fracarea.fits, contains a fractional area for each row in the input file. The STATUS column indicates why the fraction for that row is less than 1; see the help file for an explanation of the status bits. The contents of the parameter file may be checked with plist dither_region. A plot showing the fraction of the region area versus time. 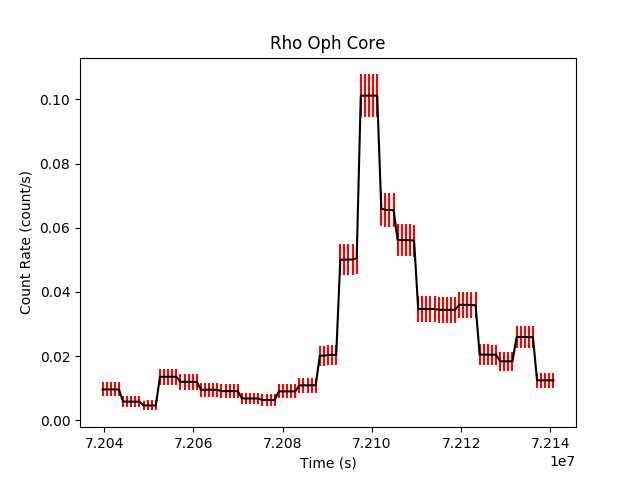 The range of the plot has been expanded to cover a short time range so the periodicity is easy to see. This shows that region is only partly covering the chip for a large fraction of the time. The small peak is part of the region dithering onto the neighboring CCD. If this area correction were not included, the source would appear variable simply because the region area itself is variable. To run glvary, just the event file and the fractional area file need to be provided. The source region file is the same one used to run dither_region; a ccd_id filter is added to ensure that the correct good time information (GTI) is used. The FRACAREA column in the dither_region only accounts for the geometric area of the region. In order to produce a properly normalized lightcurve, the dead time correction must also be included in the efficiency factor. For ACIS, this is the DTCOR value in the header of the event file. The contents of the parameter file may be checked with plist glvary. There are two output files from glvary: a probability-weighted lightcurve (lc_prob.fits) along with the table of output probabilitities (gl_prob.fits). Refer to the glvary help file for details. The variability index value of 10 indicates that this source is definitely variable. 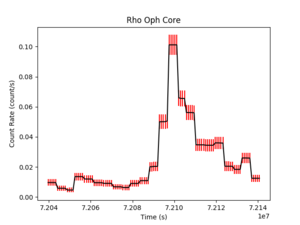 Figure 3 show the resulting plot. When extracting a lightcurve in a given region using dmextract, the count rate is given by the total counts encircled by the region divided by the good time in the time bin. No account is taken of the fraction of the region that is on or off the chip at any given moment. Due to the dither motion of the spacecraft, the extraction region can pass over the edge of the chip or over bad pixels and columns. Thus the detected counts from the source can vary on dither time scales solely due solely to the changing effective area, rather than any intrinsic variations, as shown in Figure 4. Such purely instrumental variations will be reflected in lightcurves created with dmextract. When searching for variability and creating a lighcurve with the glvary tool, we wish to minimize such purely instrumental signatures. The lightcurves for a source located at (x,y)=(3153,3313) in ObsID 635. The source is close to the ACIS-I1 chip edge, and dithers off of it during the observation. 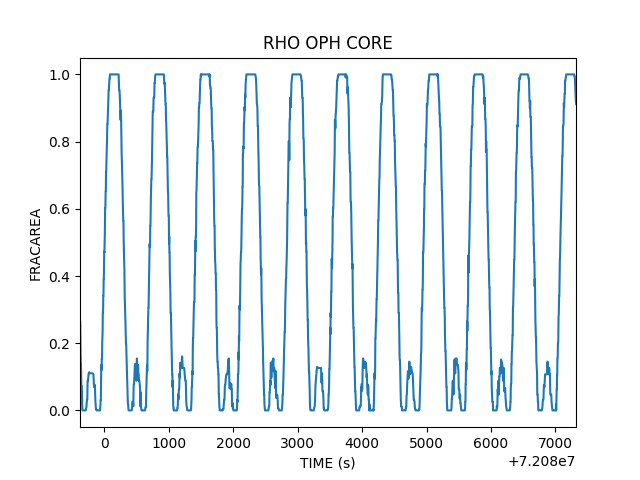 The top lightcurve shows just the source variability, while the bottom one also includes the "variability" due to dithering on and off the chip. To this end, the glvary tool utilizes information from the dither_region tool to create a simple correction for these instrumental effects. Rather than basing the variability estimate on the extracted counts per good time in a time bin, glvary uses the extracted counts per good time in a bin per normalized extraction area. 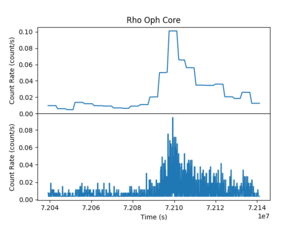 The dither_region tool calculates the fractional area in the extraction region as a function of time, accounting for chip edges, bad pixels, and bad columns. Not only is this geometric correction used by glvary in calculating the significance of the variability in a lightcurve, it is also applied to correct the rate in the estimated lightcurve produced by the tool. Thus for sources that dither over chip edges or bad pixels, the glvary lightcurve will almost always show less variability than the comparable lightcurve for the same region extracted with dmextract. Note that neither glvary nor the dither_region tool account from more subtle instrumental variations. For example, if the source dithers over chip regions with differing amounts of contamination, or over chip regions with other effective area changes not due to bad pixels or chip edges, these instrumental variations can be reflected in the extracted lightcurves with both dmextract and glvary. (convex = no)              Use convex hull around aspect histogram? (clobber = no)              Overwrite output files if they exist? 13 Dec 2013 Review for CIAO 4.6; added plot showing dither_region output. 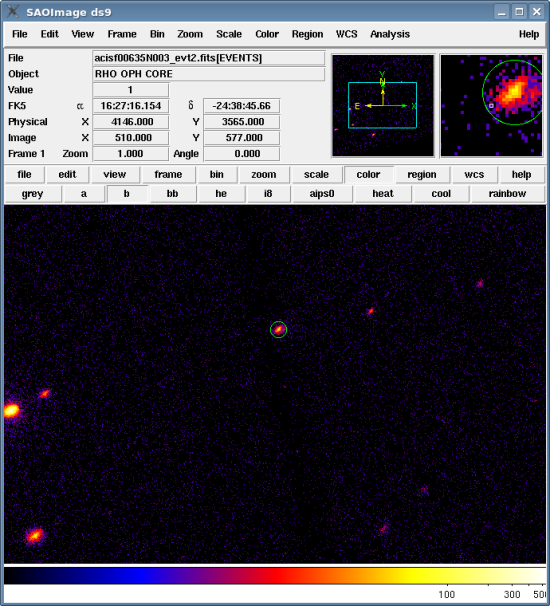 23 Dec 2014 Review for CIAO 4.7; no changes. 13 Jan 2016 Review for CIAO 4.9. Added badpixel file to retrieval list and note to be sure ardlib is set before running dither_region. Also added step to scale FRACAREA by DTF to get correct normalize of the lightcurve.